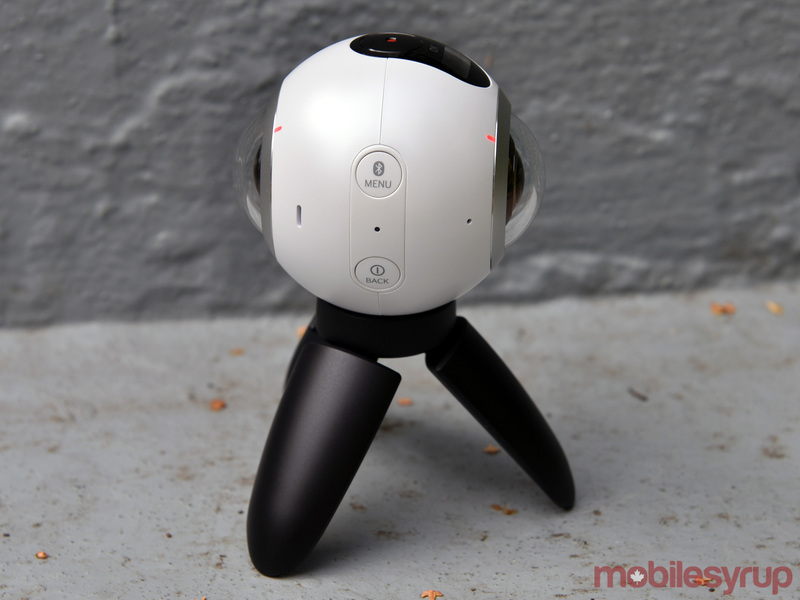 Close to the size of a billiard ball, and not far off from a grenade, the Samsung Gear 360 is meant to be versatile and explosive like those two objects, only in imaging terms. The South Korean company’s 360-degree content debut is a fine effort, so long as you have the tools required to use it. The Gear 360 is intended to open up new perspectives for still shots and video, yet its limited compatibility only opens those doors to users who have the right gear. Working only with Samsung flagships — the Galaxy S7, S7 edge and Note 7 — the entire breadth of all other Android smartphones are left out. Not to mention iOS users. Well, not entirely. It’s technically possible to use the camera with other Samsung and Android devices for all the modes that don’t shoot in 360-degrees. That sounds like a consolation, except the only reason to even consider this camera is to go the full way around. The camera and its features haven’t changed since the hands-on time we had with it a month ago. The basics are two equal 15 megapixel sensors with fisheye lenses capable of shooting up to 4K 3840 x 1920 pixels at 30fps, combining for 30 megapixel still images in 360-degrees. Individually, they are at 195-degrees with an f/2.0 aperture on each side. 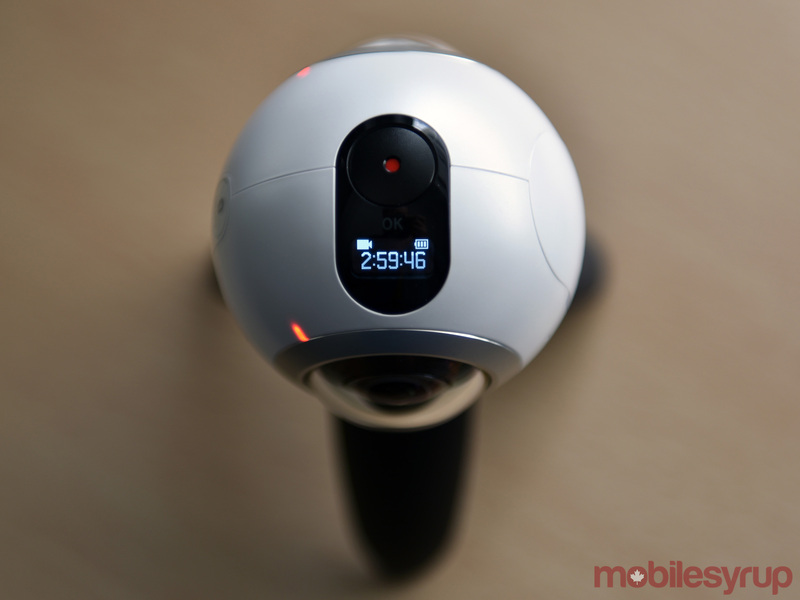 When one lens is active, the Gear 360 shoots video at 2,560 x 1,440 pixels, including a setting for 60fps, which is better for faster movement. Still images are down to 5 megapixels in single-camera mode, shooting up to 30 megapixels (3,072 x 1,728) spherically when both cameras are used. While the two can shoot simultaneously, stitching the images together happens afterward on the phone running the Gear 360 Manager app when connected via Wi-Fi or upon transfer over to the device. There is a desktop app that can accomplish the same thing when the camera is plugged in directly via USB. 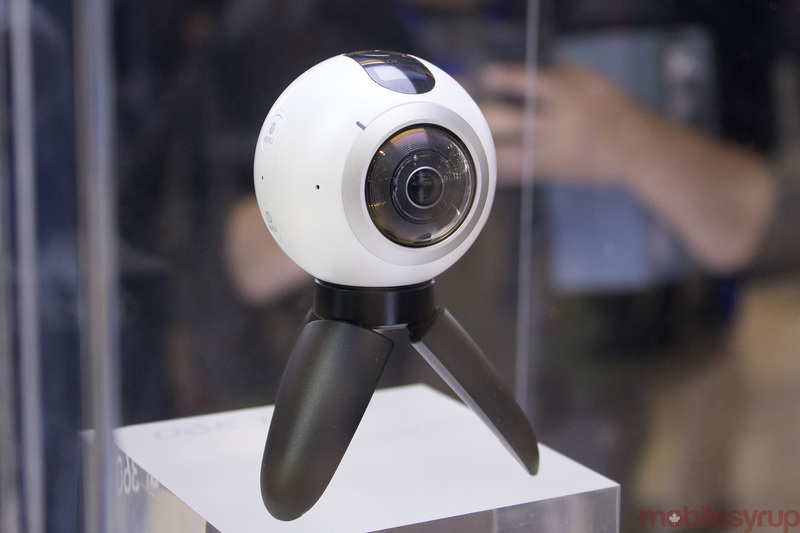 The Gear 360 itself does actually have a front and back, though that wasn’t immediately obvious to me off the bat. The lens with the small LCD right above is the front, with the other being the rear. The microphones are pretty symmetrical, and small LEDs are noticeable on the frame on each side to indicate whether the lenses are active or not. The record button at the top can trigger recording manually, though remote functions through the phone’s app can start and stop recordings, too. An NFC tag lies next to the compartment, which has a slot for a microSD card (maxing out at 128GB), 1,350mAh removable battery and microUSB port for charging and data transfer to computers. The Back button doubles as the power button, while the Menu button can initiate Bluetooth pairing and cycle through the options appearing on the small LCD. Making selections on the menu then requires pressing the back button. Underneath, the screw-in mount becomes key to the Gear 360’s deployment and usability. Samsung includes a small tripod with the unit, which is fine for basic situations, but larger tripods and monopods are far more important in capturing footage under different conditions. 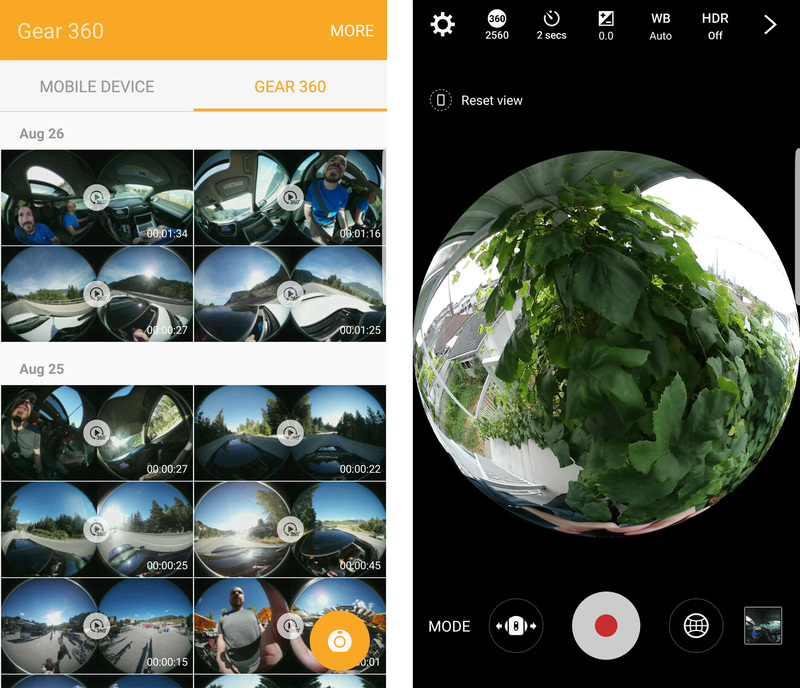 The Gear 360 app proved just as important because the camera was otherwise shooting blind. Until I could preview what I shot on the app, I had no idea how well or how bad footage or images would have turned out. Other 360-degree cameras have exactly the same challenge, so it’s not a strike against this one, only that trial-and-error is required to understand how this thing really shoots. Samsung has marketed the Gear 360 as being much like a point-and-shoot because of the expanse it covers. That’s only true if the stitching is good and it’s angled right. 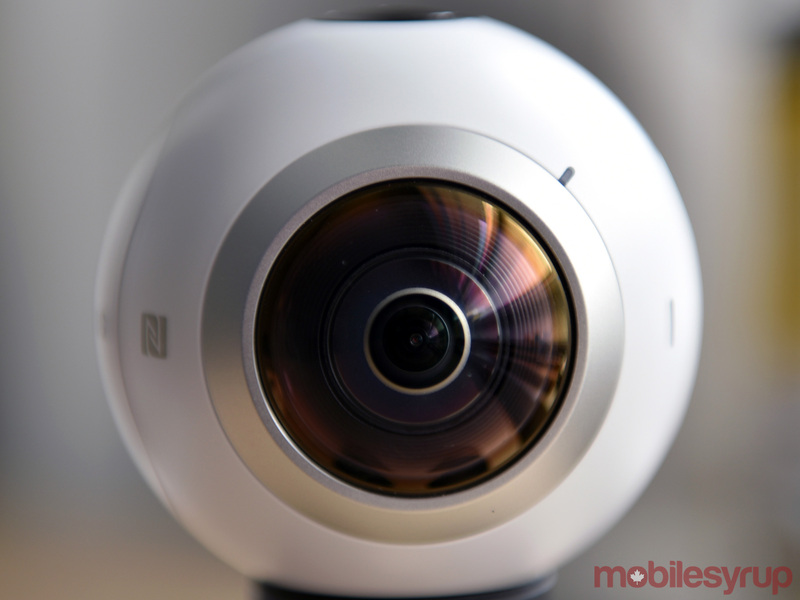 LG had this problem with its 360 Cam, whereas Samsung manages to evade it more often here. Shooting in 360-degrees is a novelty because it’s new, but it doesn’t engender the kind of slice of life and validation-seeking snaps people take every day and post on social media. A random shot with the Gear 360 felt pedestrian because there was nothing to note that was more exciting spherically compared to a standard flat image. That makes it very much an experiential camera meant to capture the mood of a scene in a way that a flat image couldn’t. Those scenarios aren’t easy to find to begin with, so I felt fortunate that I was able to and try it while travelling through Whistler, B.C. Travel is a natural fit for the Gear 360, even if its form factor doesn’t make it pocketable. The soft pouch it comes with is a nice way to protect the lenses, but again, quick snaps are not where this camera excels. Planning a shot with the Gear 360 is really about preparation. For example, knowing I would be doing the Sasquatch zip-line there, I knew I needed a tough monopod with some extension and a wrist strap, lest I lose the handle while going over 100km/h down the line. Sadly, the one video clip that came out corrupted was the one during the zip-line. MobileSyrup has contacted Samsung Canada to determine the cause, as the app never provided any explanation, and all troubleshooting attempts have proven futile since. In most cases, I wanted to try shooting with the Gear 360 in a way that would remove me completely from the shot after stitching. That was near impossible unless I mounted it somewhere, controlled it remotely from the phone and hid behind a wall that was within range. If I wanted a hands-free shooting situation where I needed to be in the shot, mounting it on myself or a flat surface of some kind required a mounting solution Samsung doesn’t provide. Third-party mounts that work with the standard screw are abundant, so that’s not an issue, it’s the recurring theme of thinking ahead in deployment preparation that can make or break a prospective shooting scenario. The IP5 rating for water and dust resistance has no real practical value, unless a splash of rain hits the body. This is a camera that is not to be submerged under any circumstances, and even contact with sand and snow is probably not a good idea, thereby limiting its setup unless placed safely so as not to fall over. The saving grace is that image quality is consistent, holding up well under varying circumstances. It handles movement well, and while not amazing in low-light and night settings, it’s not bad. Indeed, measured expectations are necessary here. Exposure control isn’t outstanding, so shooting a backlit subject, for instance, will lack balanced lighting. Edges will look a little frayed with colours lacking saturation in some areas. Stitching may even be misaligned. Some of this is predictable after a while, but surprises could always pop up. The Gear 360 closes a functional triangle that Samsung wants users to embrace because it’s a walled garden. Create 360-degree content on the Gear 360, view it and edit it on a compatible Samsung device, and then view it openly wearing a Gear VR headset. Social media is slowly catching on, with Facebook and Flickr recognizing 360-degree content uploaded to the site. YouTube is trying to do its best with video. Only a matter of time before the other social networks do the same, broadening the scope and opportunity to share such content. The Gear 360 is a good way to get into this kind of action because it does get better as the user gets better. Plus, firmware and software updates could conceivably address some of the shortcomings I’ve noted, assuming Samsung maintains a commitment to doing so. 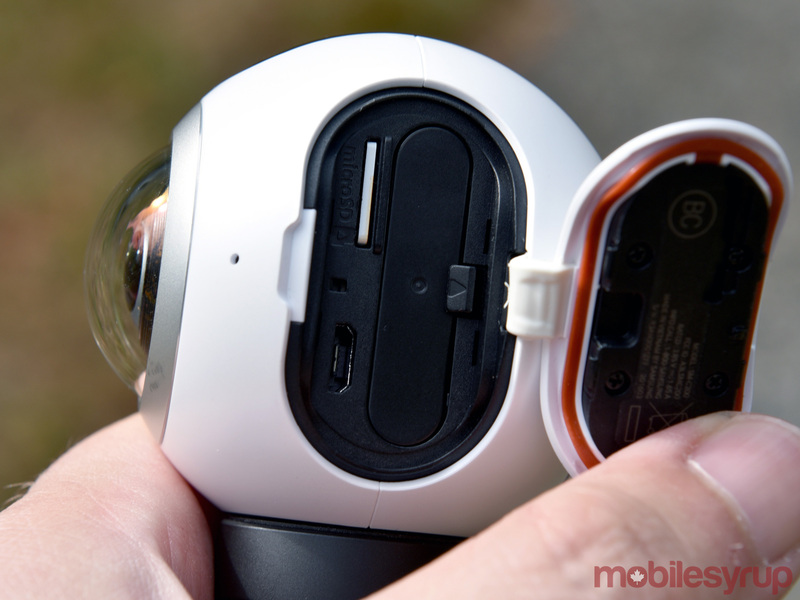 I used the Gear 360 largely as a start-and-stop camera where it was powered on and off often. That saved battery life considerably, allowing me to shoot the following day after charging, but once I let it go and shot minutes and minutes of footage with both lenses, the battery lost juice quickly. Still, unless the camera is on constantly, keeping the lights on won’t be a problem for a full day or two. The battery is not only replaceable, but easy to find in the aftermarket because of its fairly common size. However, make sure that the dimensions are accurate, as even the slightest variation could be a problem squeezing into the small battery compartment. At $499, the Gear 360 is firmly priced for the enthusiast interested in shooting content this way. Otherwise, it’s arguably out of the price range for those who are curious. That falls in line with where 360-degree imaging is today anyway — many may find it cool, but only a minority are excited enough to take the full plunge and pay to be an early adopter. Samsung’s first attempt to woo whomever may fall under the latter camp is a solid one, and the potential for ironing out some kinks via software updates bodes well for the camera’s performance later on. The company’s propensity, however, for quick evolutionary follow-ups on its hardware might give others pause that something newer is coming sooner than later. 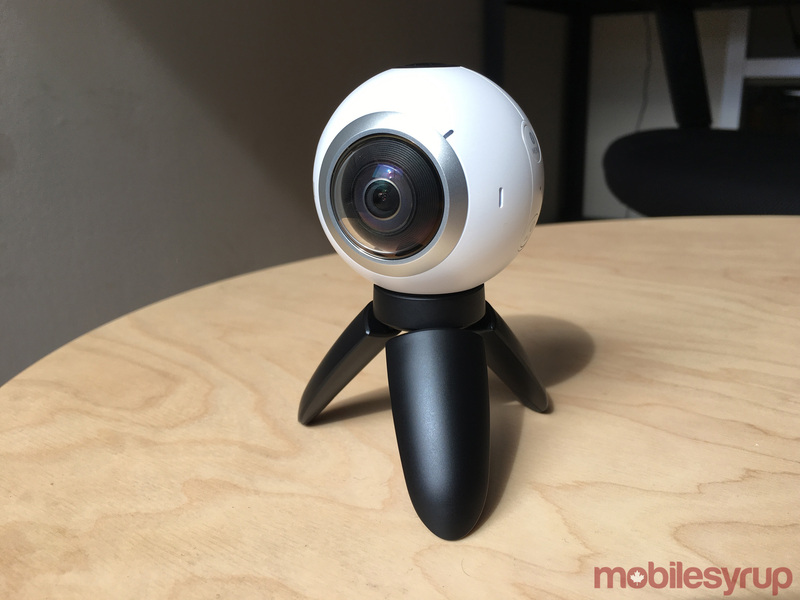 For the here and now, the Gear 360 is one of the best 360-degree cameras available if you have one of the compatible Samsung phones in hand. If not, you can look elsewhere unless Samsung opens up the gates to everyone else.